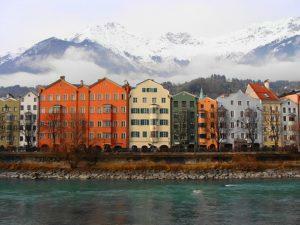 Visiting Innsbruck is like stepping into a picture postcard. It’s one of those places that stops you in your tracks because you can’t believe that you’re actually viewing such beauty. An ideal place for skiers to visit, Innsbruck provides just as much recreation for hikers in the summer. The Alps loom confidently over the city, snow-capped and impressive, beckoning adventurers to discover their treasures. Those who lean toward a more leisure vacation can take advantage of Innsbruck’s museums, castles, and even gardens. Towering on the hills above Innsbruck, this stunning white castle and fortress was the home of Archduke Ferdinand II for more than 30 years. 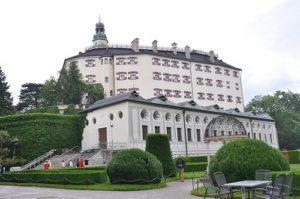 The castle houses an art gallery and collection of natural and scientific artifacts. The frescoed Spanish hall is one of the most impressive found in any Renaissance castle. A collection of armor from the 15th century comprises an extraordinary exhibit, and the sunken bathtub constructed for the Archduke’s wife, Phillipine, is an example of an historic hot tub. Once you have toured the inside of the castle, roam the gardens and forests around it to enjoy the fresh air and natural beauty of Innsbruck. 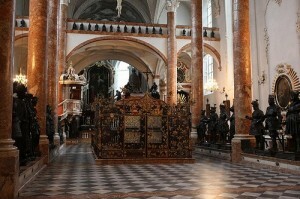 This Gothic church houses the tomb of Emperor Maximilian I, which was constructed for him but never used as a tomb, since he was never moved from his original burial place. An elaborate example of black marble sculpture, the tomb is flanked by 28 bronze statues. The intricate altar in the Silver Chapel is surrounded by silver reliefs. If you’re on your way to the Bergiselschanze, stop by this bell museum. When travelling in Innsbruck it is not uncommon to hear the melody of bells ringing through the air. 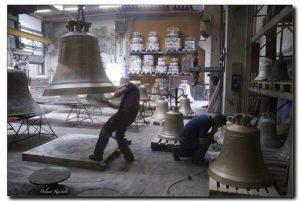 This museum gives visitors insight into the creation of bells used for bell towers, churches, and more. Kids will enjoy watching bell domes being cast and ringing a variety of bells to listen to their melodies. Adults will appreciate learning about the centuries-long history of the bell-making Grassmayr family, who created bells for use all over the world. Rise above the fog and clouds on the Hungerburgbahn, a hybrid cable railway, and truly experience Innsbruck’s majestic mountains. The ultramodern architecture of the four stations is juxtaposed against the natural backdrop of soaring pines and powdery snow. This brand-new funicular railway gives you a distinct view of the city along the way. 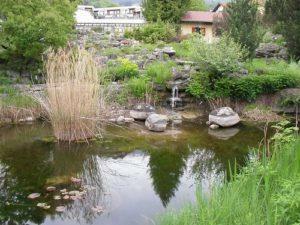 The Innsbruck Botanical Gardens are an unexpected escape after a snowy winter. A stroll around the alpine gardens, arboretum, and fragrance and touch gardens—where the plants are labeled in Braille—is free of charge. The cactus house is a surprising addition to this chilly region and houses plants from the Mediterranean, Canary Islands, and Australia. More than 300 plants with medicinal and culinary uses can be viewed here as well. 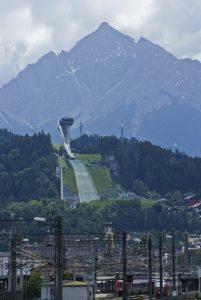 If you love winter sports, but watching them is more your style, then this ski jumping hill will give you a thrill. The spectacular concrete and glass construction makes this ski jump stand out amongst the otherwise quaint and historic structures in Innsbruck. At the top of the ski jump is a cafe where you can sit and observe the magnificent landscape around you in all directions. 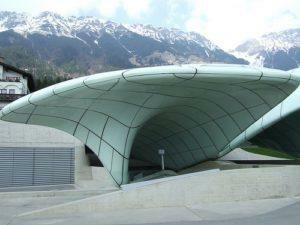 Innsbruck offers a variety of experiences for every traveler. From exquisite outdoor wonders to fascinating indoor exhibits, the region is worth the journey. Appealing to sports-lovers, children, parents, couples, or solo travelers, just reveling in the beauty of the region will make for an unforgettable trip. Jason Scott is a European travel blogger and carries his Mac laptop wherever he goes. As an avid Mac gamer he thinks everyone should try gaming on a Mac at least once because the graphics are amazing.